I. What Is Foot Odor? II. What Causes Foot Odor? IV. What To Do When Having Foot Odor? Although foot odor is a disease that does not harm your health, it brings you and people around you lots of troubles. Imagine one day, you realize surrounding people do not seem to want to be near you; your friends are uncomfortable during your conversations; or your lovely pet is no longer close to you as always, just because you have foot odor; what will you do? 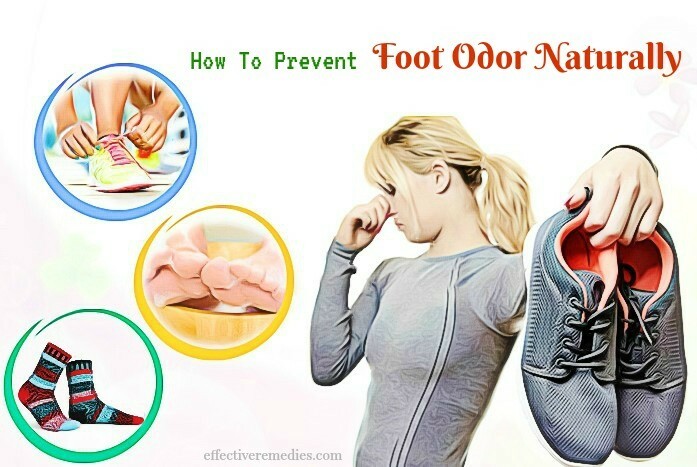 Continue reading this article on Effective Remedies to find out the suitable foot odor preventing method for you. I. What Is Foot Odor And Why Should You Prevent It? Foot odor (or foot odour), known as bromodosis, is a very delicate body issue that anyone can suffer. It is an unpleasant smell emanating from the feet, which greatly affects the spirit and daily life of humans . If your feet smell, you may trouble with many unwanted situations that reduce your confidence and make you feel embarrassed. 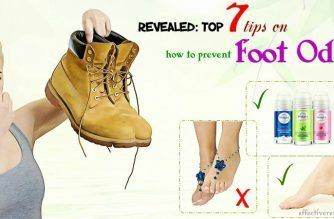 Therefore, the prevention of foot odor is extremely necessary, and everybody should know the methods. Feet sweat a lot when wearing shoes in a long time. In that condition, bacteria will have many chances to grow and multiply. When the hormones level in your body change, your feet can also sweat more. So people in puberty and pregnant women are very susceptible. The smell of your feet can be a result of fungal infection but not properly treated. People with diabetes or cardiovascular diseases tend to have infections in the feet. These infections make your feet smell because of poor blood circulation. To prevent your feet from a bad smell, you need to keep good personal hygiene. By this way, bacteria and fungi will not have the opportunity to appear and develop. Wash your feet twice per day in warm water with a brush and antibacterial soap to make sure bacteria cannot exist. Remember to wash carefully every toe, especially in the interstitial areas. After that, dry your feet with a damp towel. You should choose a soft one to avoid scratching your feet skin. Removing death skin cells of your feet is also a way to keep them from getting stinky. Use an exfoliating stone to scrub your feet once to twice a week. Focus more on the heel because that is the position producing the dead skin. If you go with a pair of socks for days in a row, definitely the smell will appear and put you in a dilemma . That’s why you need to pay attention to your socks. Cotton socks are better than synthetic socks due to the superior in moisture absorption. You can even wear two pairs of socks at a time if possible, inner is cotton socks, and outer is wool socks. This way will reduce sweating. Besides, the space between two layers of socks will help the pores on your feet to breathe easier. Spread antiperspirant on your feet, the areas between your toes, inside your socks and shoes. If you have to go out early in the morning, do not only spread the antiperspirant on right before going out, but do it at previous night before going to bed, because the antiperspirant needs a certain amount of time to absorb into your skin and show the best effect. Do not let your feet contact directly with the ground in public places while these are the living environment of bacteria. 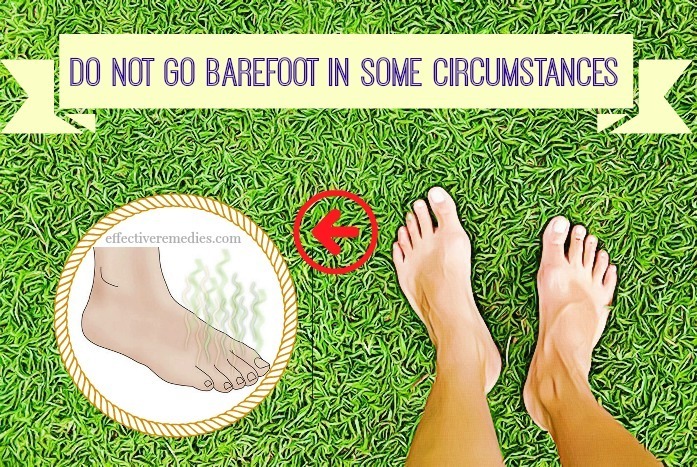 If you go barefoot often and do not clean thoroughly after, bacteria will easily attack open wound (if it is present) or pores on your soles, causing a serious problem. You should only leave your feet be airy at home – the place that ensures good hygiene. Unbreathable shoes are one of the causes of foot odor. Plastic or rubber is the materials that do not breathe, which make the pores on your feet difficult to exchange air with the outside. Choose shoes made of leather, canvas or some other breathable materials will help you to prevent foot odor . In the summer, as well as in hot, humid weather condition, with sandals or open-toed shoes, your foot sweat will be minimized and the smell will not be able to annoy you. When you consume some kinds of food that smell such as onion, garlic, pepper, durian, etc., the sweat more or less will bring out their smell. The quantity of sweat glands in your feet and hands exceeds all other parts of your body, so you should limit the use of those foods that are mentioned. IV. What To Do If You Have Foot Odor? Black tea or green tea gives the same effect on getting rid of foot odor. Mix 100g of tea with 2 liters of boiling water, dissolve the tea and add in cool water until the solution warm enough to soak your feet. The best time to do this method is in the morning, soak your feet for 20-30 minutes then dry them with a towel. People with severe foot odor should repeat one more time before going to bed. Tea has tannic acid, which kills bacteria, tighten pores and deodorize your feet . Dilute vinegar with warm water and soak your feet. 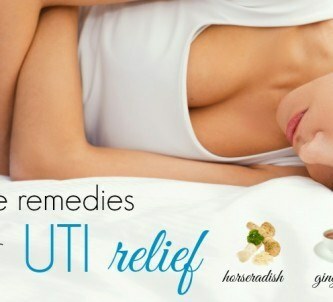 You can add few drops of thyme essential oil to enhance the effect. The acid in the vinegar and the anti-septic ability of thyme essential oil altogether will create an environment that bacteria cannot live. Implement this remedy twice a week, 10-15 minutes each time; the situation will be improved. Wash the ginger and slice thinly. Boil the sliced ginger with water for 5 minutes. Remove the solution from heat; add the refined salt to it. Wait for the mixture to cool down, and then soak your feet for 10 minutes. Follow this instruction every night before going to bed for 7 to 10 days; you will not smell the odor anymore. Furthermore, this method will also help you to reduce fatigue after a busy day. 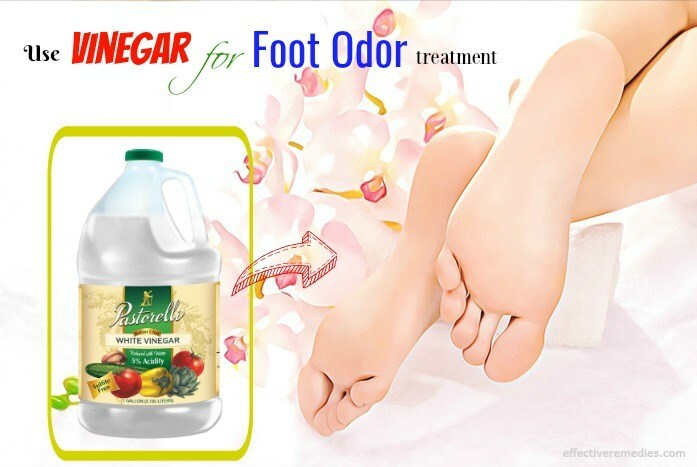 Above are some suggestions on how to prevent foot odor in the easiest way that everyone can do him/herself. 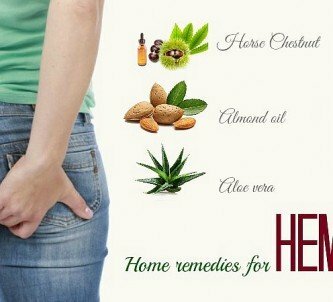 However, if you have tried all of the methods in the article that your foot still smells, you should go and see a doctor for proper treatment. 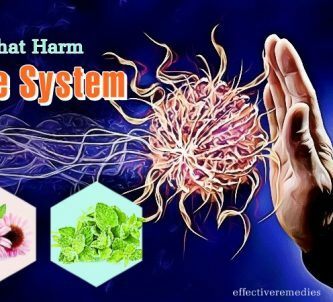 You can go to our main Prevention page to get more information about other simple remedies for preventing and treating other diseases. If you do not clear about anything in the article, or you want to share us your experience, please leave a comment below.